In Madison, Wisconsin, it’s a big deal when African peace activist Joshua Hakizimana—who saved hundreds of people from the Rwandan genocide—accepts a position at the university to teach about “genocide and testimony”. Then a young woman is found murdered on his doorstep. Local police Detective Ishmael—an African-American in an “extremely white” town—suspects the crime is racially motivated; the Ku Klux Klan still holds rallies there, after all. But then he gets a mysterious phone call: “If you want the truth, you must go to its source. The truth is in the past. Come to Nairobi”. It’s the beginning of a journey that will take him to a place still vibrating from the genocide that happened around its borders, where violence is a part of everyday life, where big-oil money rules and where the local cops shoot first and ask questions later-a place, in short, where knowing the truth about history can get you killed. 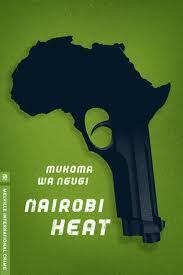 You can watch Mukoma Wa Ngugi talk about writing, life and the movie here.